The 1.5mm Youth Championship Neoprene Top ?? 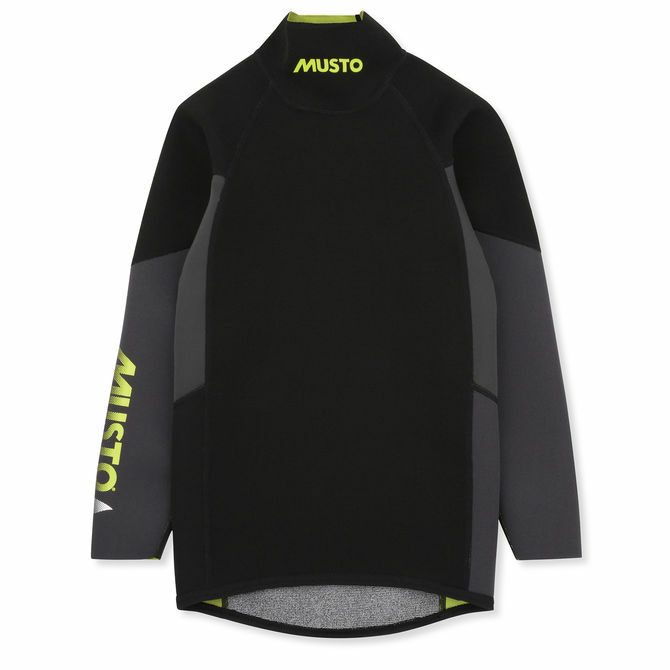 designed for budding dinghy sailors in chilly waters. Constructed from super-stretch neoprene for full freedom of movement using highly engineered seams for added durability in areas most susceptible to wear. A neoprene backer and face provides 2.5mm thickness for enhanced durability and total comfort. The scooped hem provides coverage when active and the glideskin neck and laser-cut cuffs ensure a snug, watertight fit.